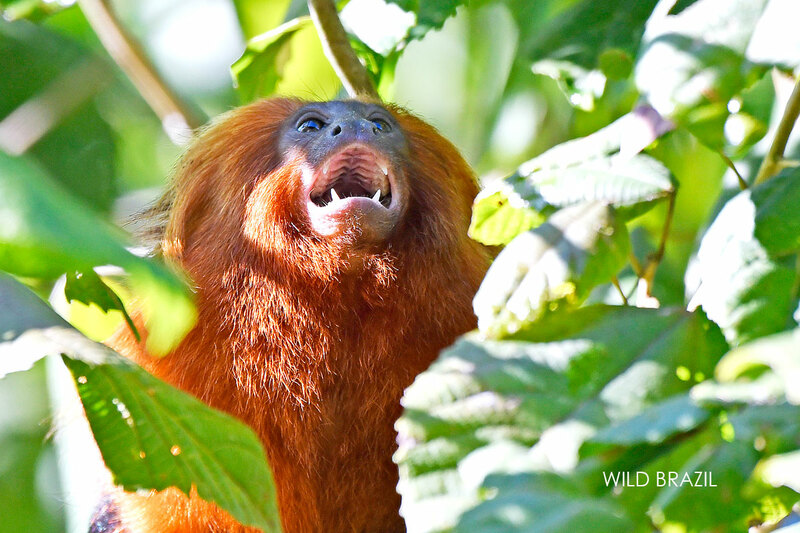 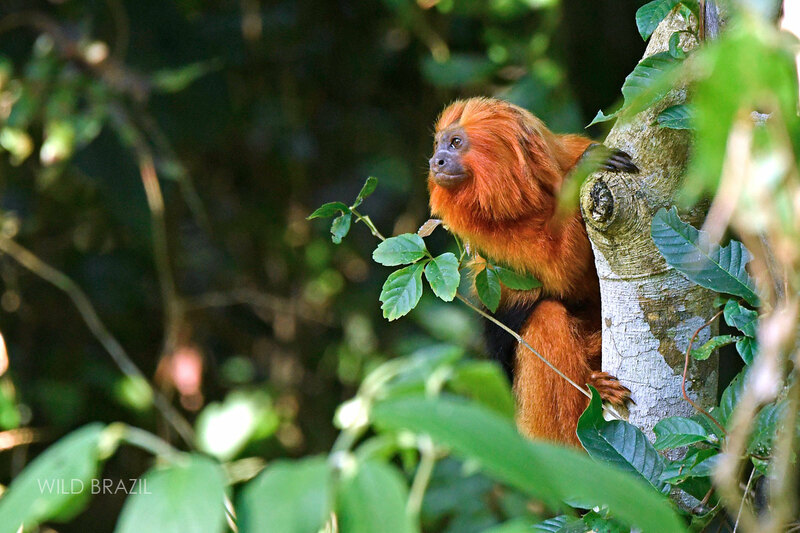 The golden lion tamarin (Leontopithecus rosalia - family: Callitrichidaeis), is one of the world's most endangered mammals, with a population of about 3,500 individuals. 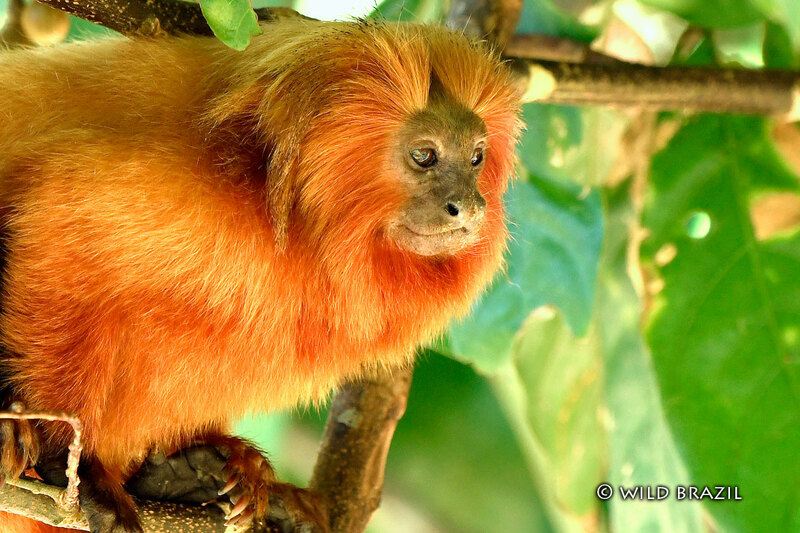 The conservation status is EN= Endangered (IUCN 3.1). 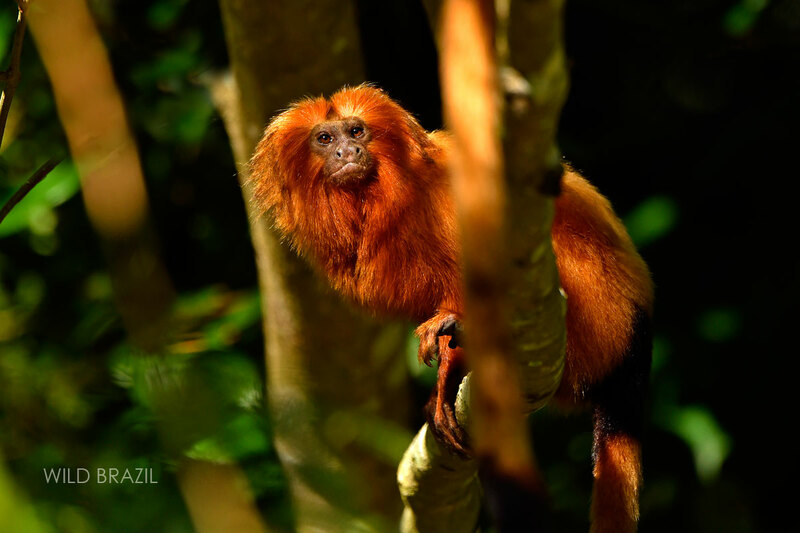 Their distribution range of this magnificent small monkey is very limited and confined to a small area at less than 300m altitude, in the Atlantic Forest of the Rio de Janeiro state. 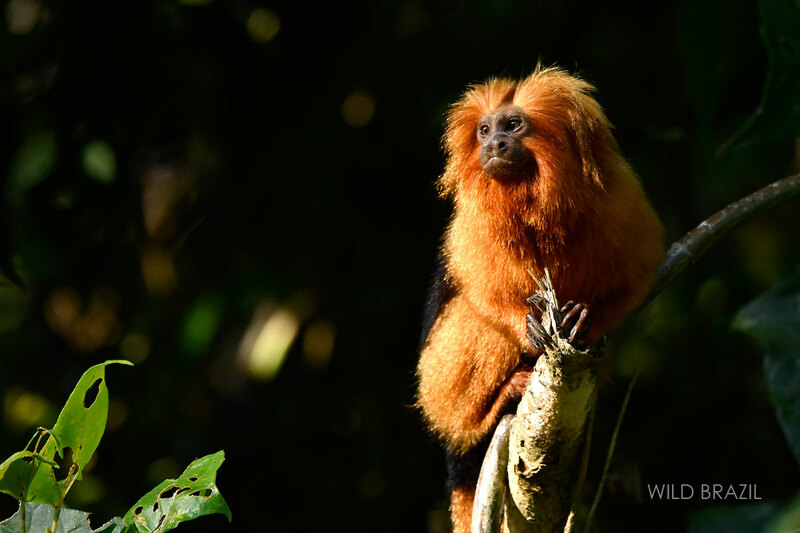 You can photograph these wonderful animals in a protected forest and visit the centre of conservation and reintroduction program.